Struggling to think of what your Valentine may want this year? How about sending them some delicious lobster — better yet, cooking up a nice seafood dinner for the two of you to enjoy together? 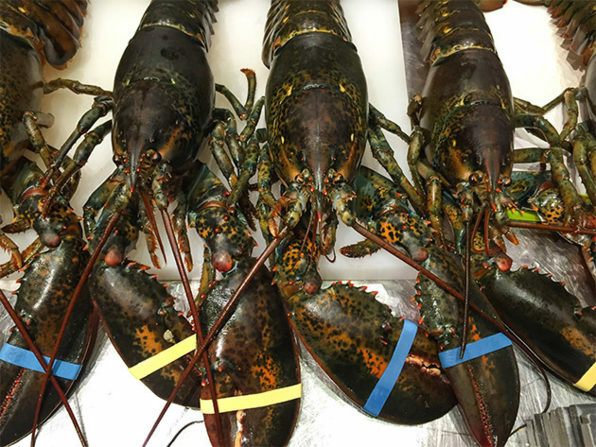 With Get Maine Lobster, you can deliver or buy and prepare four fresh Maine lobsters for a creative, unique, and delicious Valentine’s Day present. There is nothing like the sweet, ocean-fresh flavor of live Maine lobster. With this deal, you get four 1.1-lb to 1.2-lb lobsters delivered straight to your Valentine’s door. Plus, you are guaranteed they will be fresh because they are hand-selected daily! So, even if you can’t buy and prepare them yourself on Valentine’s Day, you can still send them off as an incredible present. But, if you can spend the holiday with your significant other, then preparing them yourself and cooking up a surprise seafood dinner — with the lobster front and center — is the way to go! Steam, grill, boil, or dip the lobster in butter; no matter your choice, the lobster will taste amazing and surely please everyone on Valentine’s Day. Get Maine Lobster for $89.99, 50 percent off its original price, in The Daily Caller Shop.